Dear God, could they have picked a nerdier looking kid? 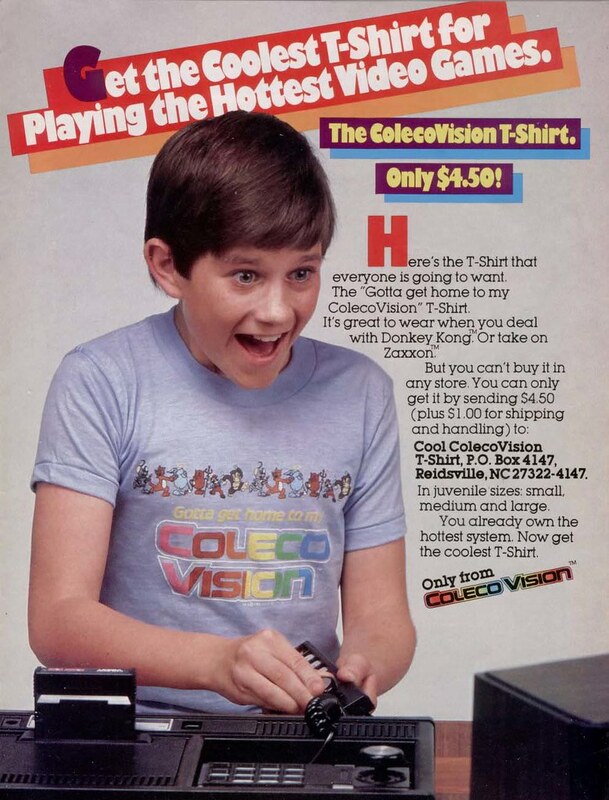 Anyway... my family became proud owners of an Atari back in 1982; but we never made the leap to ColecoVision. 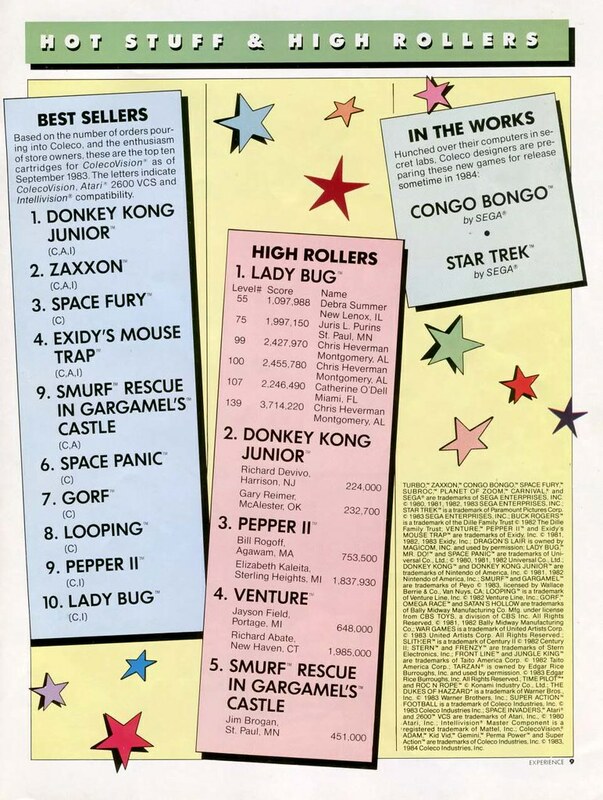 My neighbors had it (hell, one even had an Intellivision), but mine was an Atari-only household until Nintendo reared its ugly head in 1988 - and with it Mario, Zelda and Metroid. Damn. I don't remember hardly any of these games. Pepper II, Smurfs, Space Panic.... ? I'm sure hipsters would love to get their irony-laden hands on this T-shirt; but back in 1984, this shirt was your ticket to getting picked last in gym class. 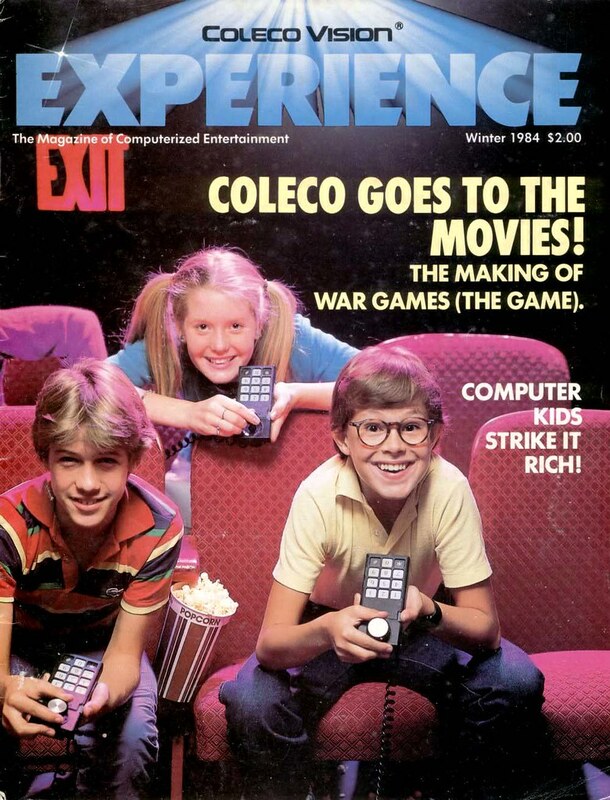 Again, I didn't have a ColecoVision, but I did play it... and I recall the buttons being rarely used. 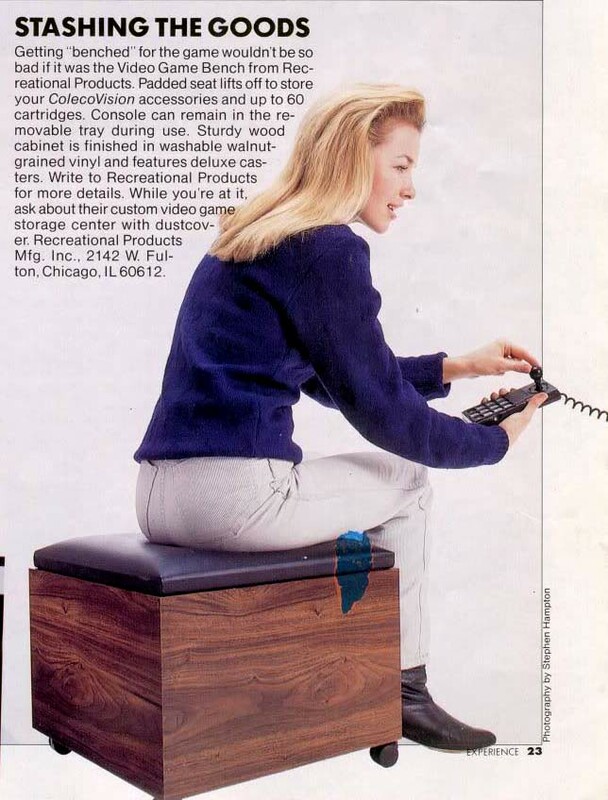 This was still essentially a simple Atari joystick, and the useless keypad just made it awkward to hold. Am I remembering this right? Not remembering the cassette tape thingy either. Anyway, please drop some change in the tip jar and help keep the vintage goodness coming. In 1984 I think I was still making do with my Texas Instruments TI100/4A. In 1985 I got m first Macintosh. My first kid was born in 1984. Though the years I never allowed a video game console in the house. I allowed the kids to play games on my Mac when they got older. Always worth kicking a few $$ your, Gilligan! Ah, yes, the data cassette recorder. We had one for the Vic 20 & Commodore 64. I didn't own my first computer until 1993, but in the late 70s-early 80s I had used Apple IIs in high school and college. And the first Apple II I ever used was checked out to my Trigonometry class and it had a cassette recorder. Where I grew up (Dutchess County NY), the local cable system had a service for Intellivision during Intellivision's heyday. 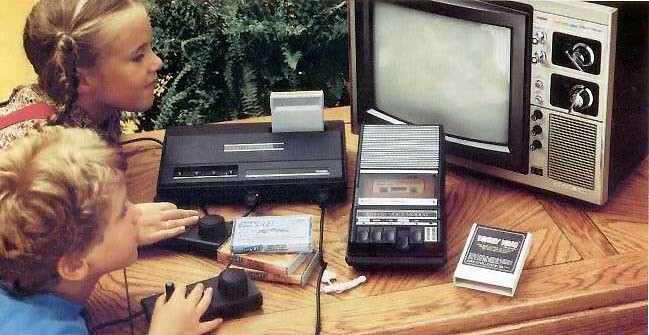 Instead of buying cartridges, you could subscribe to an add-on to the standard cablevision service and always have a selection of 20 Intellivision games available at all times. There were some classics that were available every month, and other games that changed by the month. Arguably, what they were doing was WAY ahead of its time. I don't know if that was a common thing across the US or just something a local tech figured out how to do.